It was a rare occasion to have a blue blooded visitor in the Minardi box, such as Spanish King Juan Carlos who would visit his drivers Marc Gene and Fernando Alonso when the Formula 1 circus stopped in Spain. 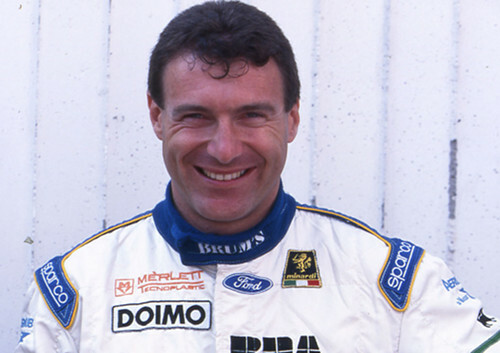 Italian count Giovanni Lavaggi, however, even raced for the team in 1996. An engineer by trade, Sicilian-born Lavaggi developed what he called a "crazy passion" for racing and gained early experience in Italy's Formula Panda, moving into sports cars with some success and winning the Interseries championship of 1993. He moved to the United States, where he briefly competed in the Indycar series. Also keeping a foot in sports cars, Lavaggi won the 24h of Daytona in 1995. In the same year, at the age of 37, Lavaggi made his Formula 1 debut for the Pacific F1 team, competing in four races. With the help of some personal sponsors, he competed in six races for Minardi in 1996, with a 10th spot in Hungary as his best result. After his foray into Formula 1, Lavaggi started his own sports car team, even building his own Le Mans prototype (the first Le Mans Prototype to have been built and designed in Monte Carlo) which competed in endurance races between 2005 and 2009.